The Latest in Celebrity News, Red Carpet Moments, Viral Videos and Breaking Celeb Rumors! 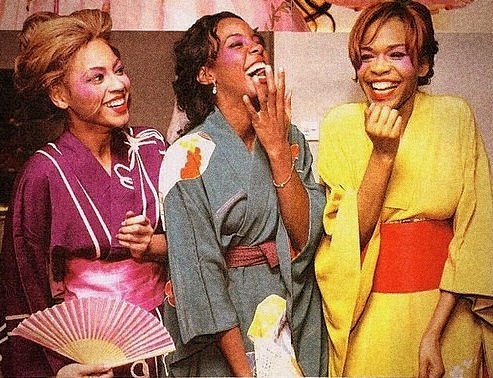 : Destiny's Child Rule the R&B World as Solo Stars! Destiny's Child Rule the R&B World as Solo Stars! This year has been a wonderful year by members of the best selling female group Destiny's child because they have ruled the R&B world with their singles and albums.Beyonce Knowles ends 2011 with the best selling R&B album and Kelly Rowland 's Motivation becomes the most played song on Urban radio...Read more to view the full story. Kelly Rowland's platinum single Motivation tops Urban radio with 91,874 spins AND Beyonce's 4 is certified platinum by gathering 1,036,793 in sales thus becoming the highest selling R&B album of the year. Congrats to Kelly & Beyonce!